SAFE & SECURE CONNECTION WITH NO LEAKS - Inflator head designed for ANY size of 'threaded' CO2 cartridges (12g, 16g, 20g & 25g). 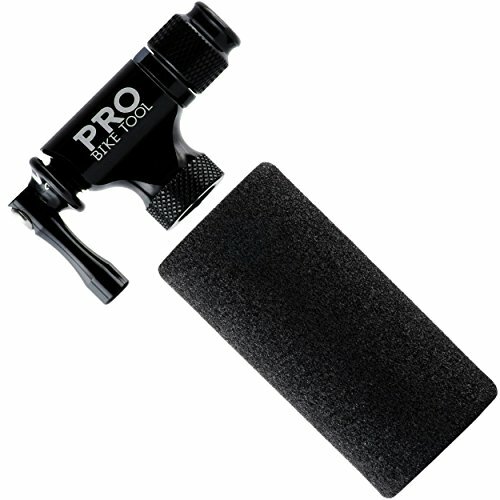 Rubber EVA Foam sleeve (for 16g cartridges only) included - no frozen fingers when operating. Detailed instructions & spare o-ring included. Not compatible with valve extenders. For Presta valves with removable cores, extra care should be taken to tightly screw the core into the valve stem. No CO2 cartridges included, CO2 cartridges sold separately.